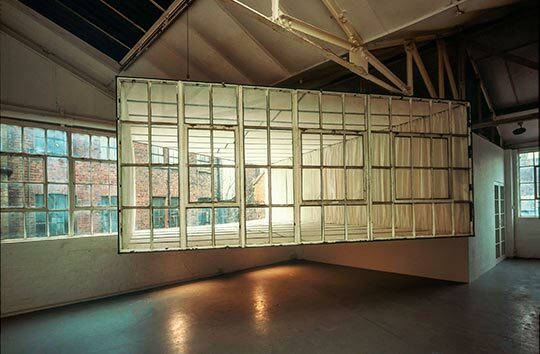 A section of gallery window was removed from its housing and brought into the gallery space. 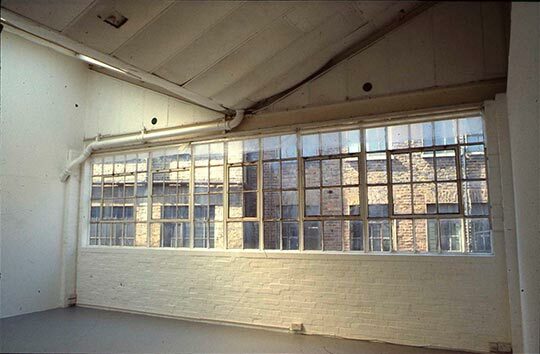 The displaced window was joined to a metal armature clothed in folded, rubberised fabric, that protruded into the space beyond the building. The space the sculpture now delineated was positioned so as to occupy the greatest part of the interior of the gallery.